Showing 37 articles from April 6, 2016. BOOKED. Darius Robinson was taken back to jail Wednesday after appearing in district court on charges of killing Keisha Livingston, Diana Edgerton and Shamare Harris. LOUISBURG -- A man suspected in a triple homicide made his first appearance in court on Wednesday before heading to the Franklin County Jail. If a family member of one of those killed in the March 26 slaying had her way, Darius R. Robinson would not get to live the rest of his days behind bars. "We don't give life, so we can't take it away," said Dinah Williams, explaining her initial thoughts on the death penalty. That has changed in the days since police allege Robinson killed Keisha Livingston, a woman Williams said she raised. Authorities allege Robinson shot and killed Livingston, Diana Edgerton and LaGrange resident Shamare Harris inside Livingston's Harris Road home. PRESENTATION. 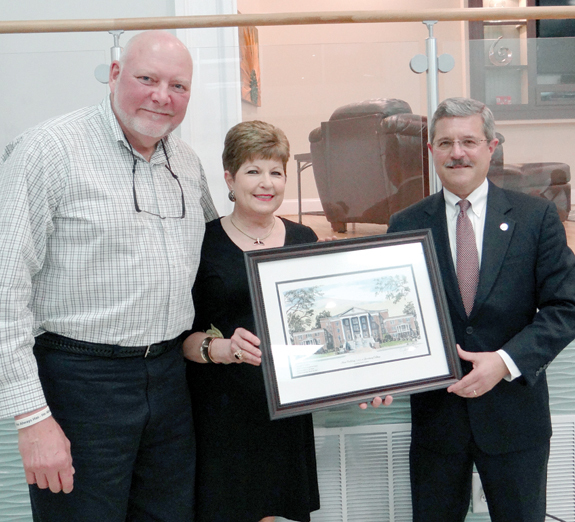 Louisburg College President Mark La Branche (right) presents a copy of a new print of the Main Building to long-time college supporters Parker and Lynda Lumpkin. The print is by artist Jerry Miller. LOUISBURG -- The most successful fundraising campaign in the 229-year history of Louisburg College concluded recently, raising $18.8 million that will support and enhance every aspect of the campus. The results of the Great Futures Campaign, which exceeded the original $15 million goal by 25 percent, were announced recently during a dinner on campus to celebrate the campaign's conclusion and the generosity of nearly 3,000 donors who made it a success. RALEIGH -- In August 2012, Pat Green told the court that he'd spend the next 44 to 62 months working to make himself a better man and better Christian. Good behavior in prison has meant that the former sheriff only had to spend the minimum amount of time in jail working to make that turnaround. 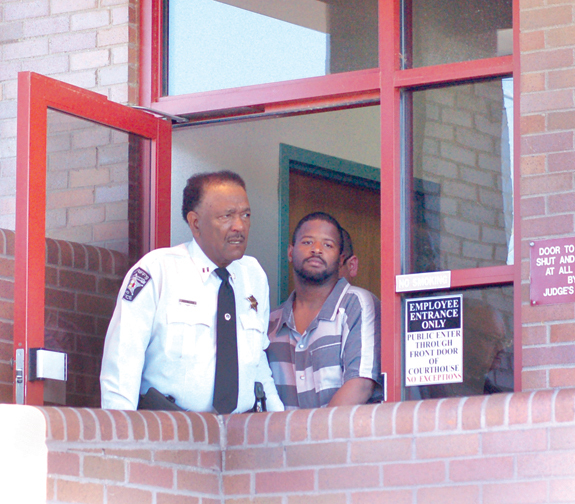 Green is slated to be released from the Wake County Jail on April 13. "[Green] has no infractions, which should help him to be released at or near his minimum release date," said N.C. Department of Public Safety spokesperson Keith Acree. 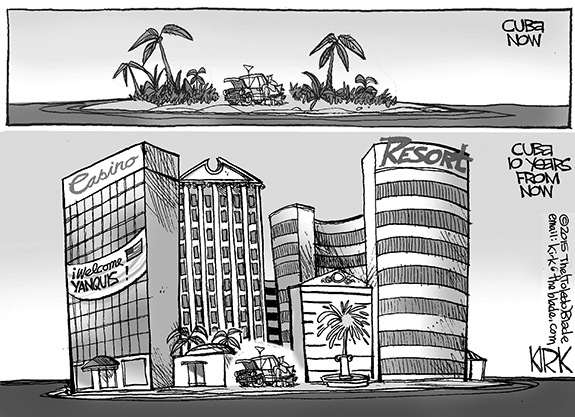 As our neighbors plan for the future, where are we? 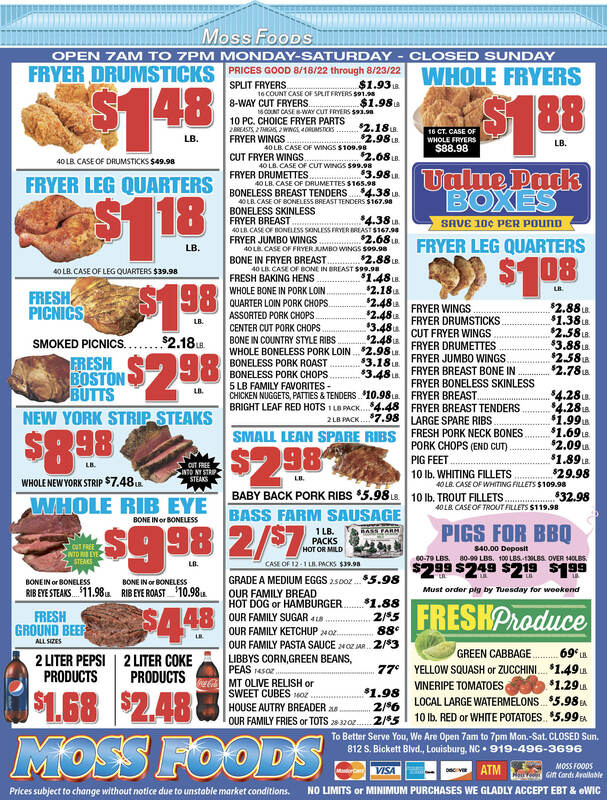 There are some interesting things being tried over in Franklin County's "sister" county, otherwise known as Chatham. That county, which also adjoins Wake just like Franklin, is very similar to this county in a variety of ways, including demographics. The major differences are that U.S. 64 has been four-laned all the way across it while we await action on U.S. 401 and leadership there has been taking a much more proactive approach to the future. There is no gentle way to say this: Our criminal justice system has failed us badly at least twice in the last couple of years and the toll is horrendous. There are more incidents than two, but let's focus on the multiple victim situations for now. At the moment, six people have been shot to death in Franklin County in two incidents. In the first, a mother, daughter and one of the alleged killers is dead of a self-inflicted gunshot. In the second, the alleged shooter, in a triple homicide was finally nabbed by an FBI SWAT team in Virginia. On my most recent commute to work, I put my plastic, cream-cheese slathering knife down, plopped my bagel in my lap, asked Siri the best route to avoid traffic congestion while using my knees to swerve toward an off ramp while telling my kids in the backseat to be quiet and watch the movie playing on the front-mounted DVD. I then simultaneously posted the entire episode to Snapchat, Instagram and Facebook, tagging my friends and reacting with an "angry" emoji face. 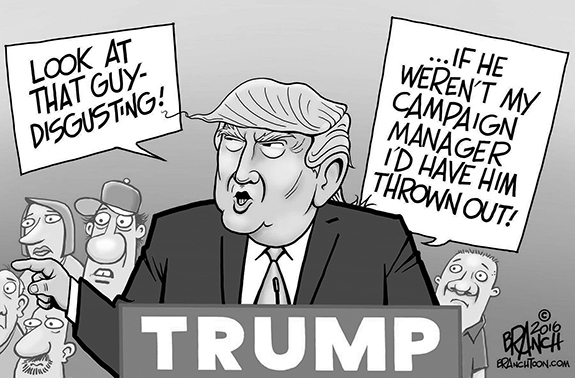 Most often, this column brings bad deeds to light. 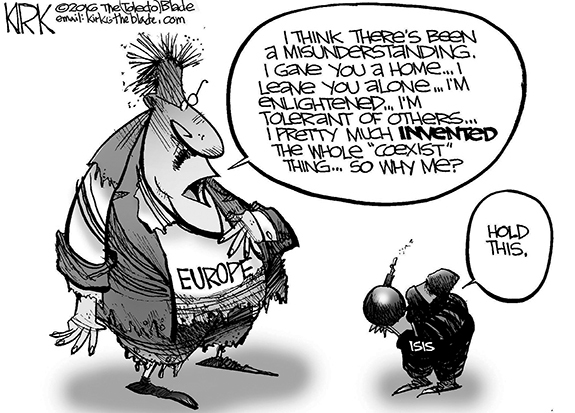 Unfortunately, I'm supplied with more fodder than available space. Today's is a very different article; it highlights something very positive Vance-Granville Community College (VGCC) is doing for Franklin County. On March 21, VGCC President Dr. Stelfanie Williams announced a major new financial aid program, the VanGuarantee. Too often, the foremost barrier to a higher education for many Franklin County residents is the cost. Dear editor: Health care is in a constant state of change, brought on by scientific discoveries, advancements in technology, government regulation and reform. But there is always one constant: physicians still carry the ultimate responsibility for a patient's care. In any setting, whether it's in the emergency room, on the operating table or in a clinic. From the very beginning of medicine, doctors held the fate of their fellow human beings in their hands and in their hearts. OPTICAL ILLUSION. It looks like the ball is touching Max Jones' hand, but he is actually preparing for a forehand return as part of Louisburg High School's home tennis match against Research Triangle Park on Tuesday afternoon. 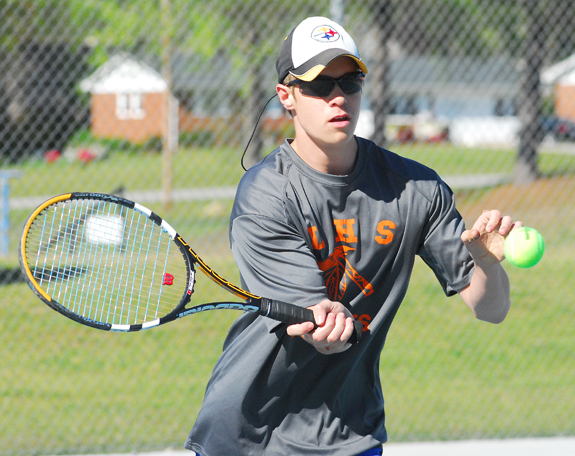 LOUISBURG -- Louisburg was looking to even the score Tuesday in boys tennis action against Research Triangle Park -- a club that had topped the Warriors earlier in the campaign. But LHS would take the rematch by a 5-4 team margin in a non-conference meeting at the LHS Courts. Louisburg, coached by Chris Cannady, claimed four of the six singles matches en route to the decision. I'M ON IT. 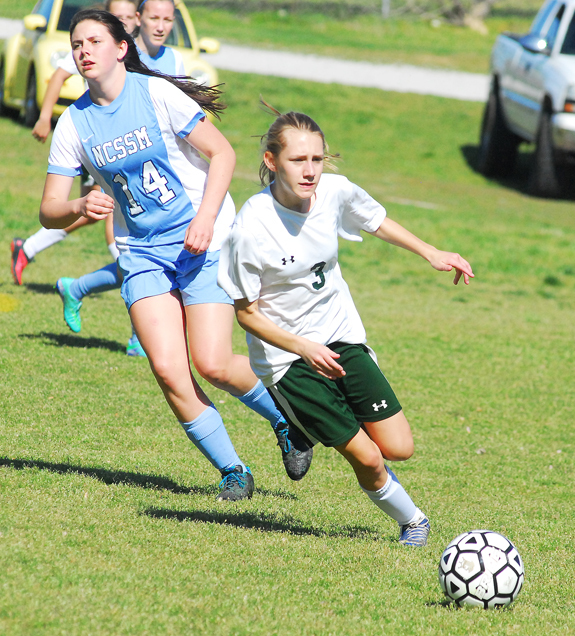 Bunn's Rachel Alford races toward a ball during Monday's home conference soccer showdown. BUNN -- In the topsy-turvy world of the Northern Carolina Conference girls soccer standings, a few losses doesn't necessarily spell doom for a squad. But for the Bunn Ladycats, a handful of victories down the stretch will probably be necessary if Coach Charles Haley's crew hopes to gain a spot in the Class 2-A State Playoffs. Consistency has been a factor for the young Ladycats to date. Freshman-filled Bunn has shown flashes of potential -- including a victory over perennial powerhouse Franklinton -- but the Ladycats have also suffered from a few subpar performances. STEPHANIE SLAM. Bunn's Stephanie Williams rips a double for the Ladycats during Tuesday's home victory over Durham School of Arts in Northern Carolina Conference fast-pitch softball action. 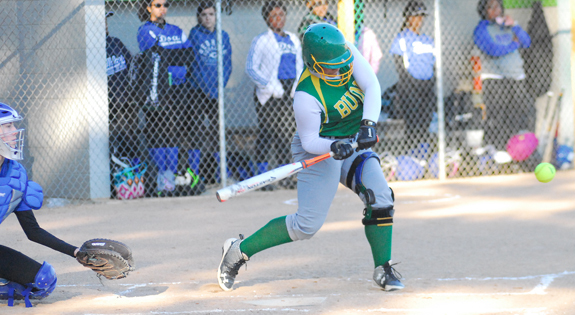 BUNN -- Bunn made a journey back to the Roaring Twenties to secure a home softball victory Tuesday against Northern Carolina Conference opponent Durham School of Arts. The Ladycats racked up 21 runs in the opening stanza alone and went on to overwhelm the Bulldogs by a 38-0 total at the BHS Softball Field. Bunn is now 8-2 overall to go with a 4-2 worksheet in the NCC. LOUISBURG -- Frazier Field promises to be a welcome site this weekend for the Louisburg College baseball squad. The Hurricanes, coached by Blake Herring, will return home while resuming their Region X ledger this weekend after a dozen straight conference games on the road. 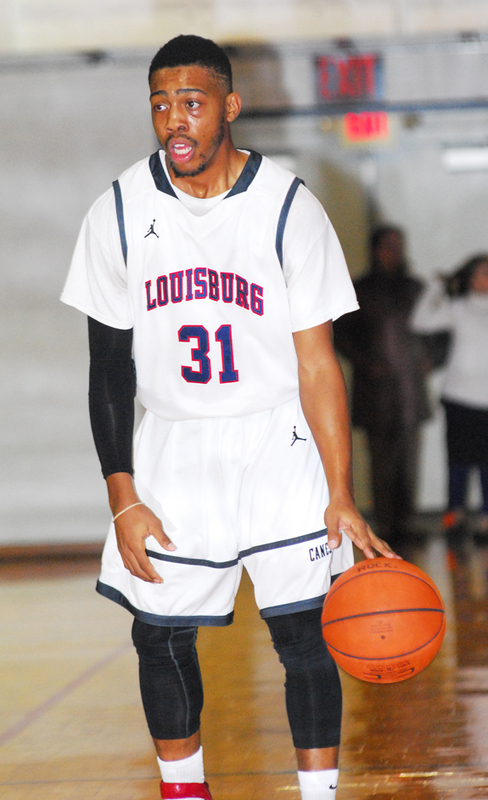 Louisburg will entertain Guilford Tech Community College on both Saturday and Sunday as part of the four-contest series. 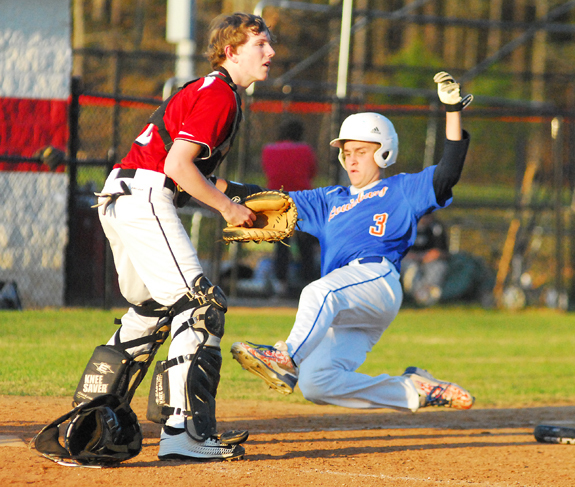 BUNN -- It didn't take long for the Bunn Wildcats to return to form after a non-league road baseball loss on Monday at Heritage. Just 24 hours later, the Wildcats were back at home for a Northern Carolina Conference showdown against Durham School of Arts. Bunn was never threatened during the contest and went on to secure a convincing 31-0 decision over the Bulldogs. The game was called after the top of the fifth stanza due to the mandatory 10-run rule. LOUISBURG -- Region X regular season and tournament championships followed by an Elite Eight performance at the National Junior College Athletic Association Men's Basketball Tournament. Yes, Neil Dixon's first campaign in charge of the Louisburg College men's hoops program was certainly one to remember. Dixon, a former assistant at LC under Mark Vanderslice, became the Hurricanes' head coach last summer when Vanderslice left to take over the program at the University of South Carolina-Aiken. NIFTY MOVE. Franklinton's Grayson Wilder tries to get out of the way of a pitch during Monday evening's home baseball showdown against Louisburg High School. 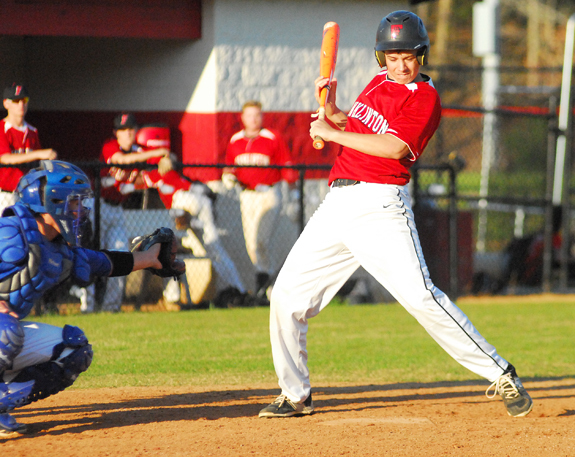 FRANKLINTON -- Franklinton's bats showed no sign of rust from Spring Break during Monday's return to the baseball diamond against backyard rival Louisburg. 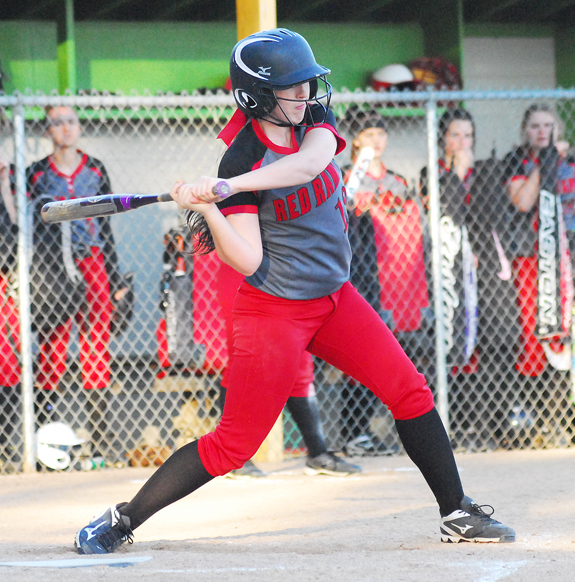 FHS picked up four runs in the bottom of the first stanza and never looked back en route to defeating the Warriors by a 16-6 margin at home in non-conference action. After Louisburg was unable to capitalize on a potential threat in the top of the first, Franklinton quickly got going in the bottom of the inning as Chad Charron drove in a run with a triple to left field. ZEBULON -- The Atlanta Braves have officially set the initial Carolina Mudcats' opening night travel roster for 2016 season. The Mudcats travel roster features the number one overall draft pick from the 2015 Major League Baseball draft in INF Dansby Swanson and Atlanta's 2014 first round selection in OF Braxton Davidson. The roster also includes returning Mudcats players OF Sean Godfrey, OF Keith Curcio, C Joseph Odom, INF Reed Harper and INF Joey Meneses. In all, the opening night roster consists of nine returning Mudcats from the 2015 season, including eight players up from Class A Rome. 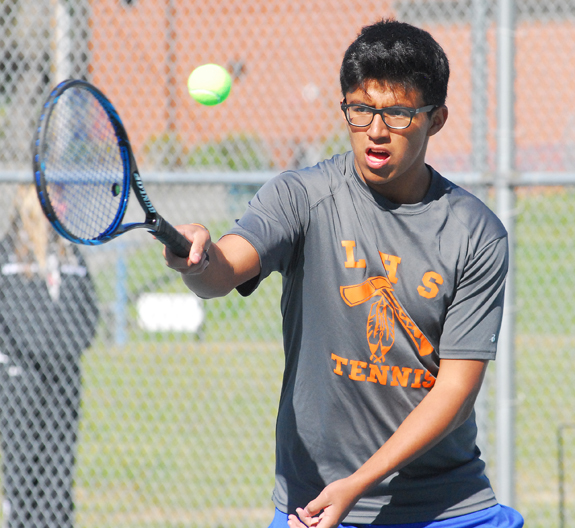 Louisburg High School's Gustavo Osorio returns a forehand at the No. 3 Singles position. Louisburg High School's Ethan Young (right) slides safely into home plate during Monday evening's non-conference road setback against the Franklinton Red Rams. 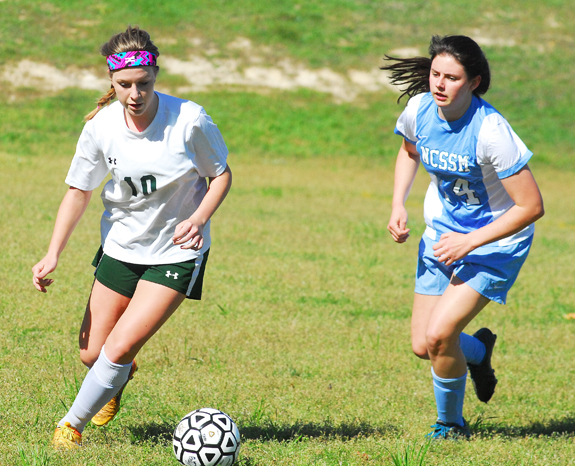 Bunn's Kayla Sellars (left) advances the ball during Monday's home soccer matchup against North Carolina School of Science and Math. 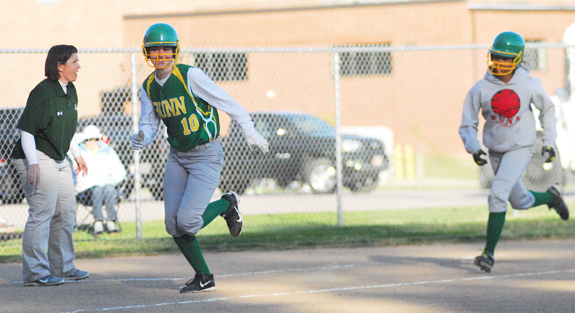 Bunn's Amanda Dean (center) and I'Kesha Little (right) race home with runs as part of the Ladycats' home victory over Durham School of Arts on Tuesday evening in Northern Carolina Conference fast-pitch softball action. PREMIER PERFORMANCE. Playwright and actor Walter Williamson, an alumnus who is serving as artist-in-residence at Louisburg College for the spring semester, will stage the world premiere of his new play "Victoria's Boy" April 6-9 at the Norris Theatre on campus. 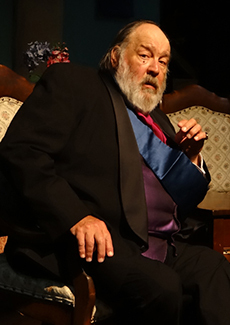 The two-act play chronicles the often strained relationship between Queen Victoria and her son, King Edward VII, who is portrayed by Williamson. Victoria blamed Edward for the death of his father, and did not want him to succeed her on the throne because she considered him unfit to rule. In the play's first act, Williamson portrays Edward the night before his mother's death. Local writer Donna Campbell Smith will be launching her latest book published by Lyons Press, The Book of Donkeys, at Donkey Day on Saturday, April 16, from 10 a.m. until 2 p.m. 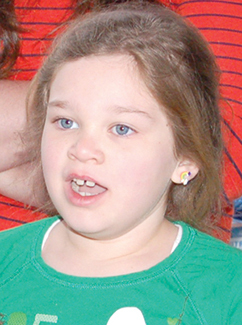 The event is hosted by Shannon Hoffman and located on her farm at 813 Moss Road, Zebulon. Donkeys are gaining in popularity across the country. The USDA's 1998 equine census reported there were 270,000 donkeys in this country. People are using them for trail riding, packing trips, pets, livestock guards, and as show animals. The Tar River Center for History and Culture Foundation has published a high-quality reprint of Gray's New Map of Louisburg, Franklin County, North Carolina, which originally appeared in The National Atlas (Philadelphia: O.W. Gray & Son, 1882). Printed on heavy acid-free paper and measuring 31 x 18 inches, the map is suitable for framing. The cost of the map is $20; proceeds from sales will support the work of the Tar River Center for History and Culture at Louisburg College. Walking is probably one the easiest exercises that could be done on a regular basis. Walking gets many of us to various places that we need to be and it allows us to participate in many of our daily activities. While walking is a major part of many of our lives, it isn't a part of our physical activity. Walking can lower the risk of many diseases, one being heart disease. Heart disease is the leading cause of death in the United States. Research shows that an American will have a heart attack or stroke every 25 seconds. Jeremy and Leslie May of Verizon Wireless in Louisburg donated an Apple iPad Air 2 to be given to an outstanding teacher in Franklin County. 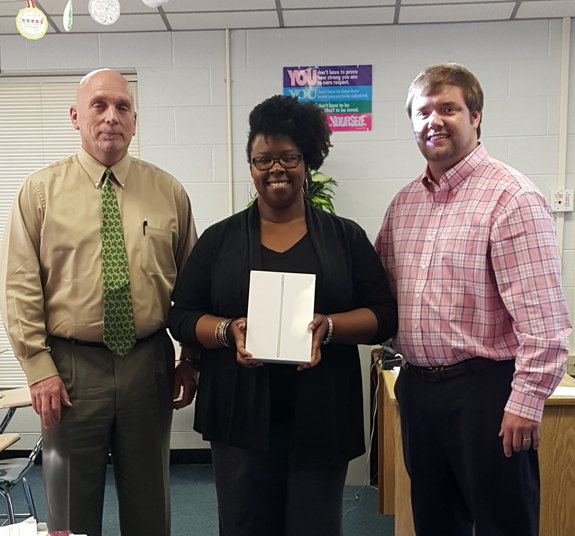 Renee Branch of Terrell Lane Middle School received the most nominations and recently was presented here iPad on March 17. Shown here (left to right) are Kent Lovett, TLMS principal, Renee Branch, an eighth grade math teacher, and Jeremy May. LOUISBURG -- Franklin County tax staff told commissioners they should expect a more hands-on and in-house approach to revaluation this go-round. During the board's March meeting, Commissioner Harry Foy asked staff for an update on where the county is in the revaluation process -- property owners should expect to see a schedule of values go out in the late summer or early fall of 2017. But Tax Administrator Daniel Williams told commissioners and residents on Monday night that work on the project is already underway. LOUISBURG -- The Franklin County Board of Commissioners will host a retreat next week, a special-called meeting that will serve as a county blueprint going forward. No agenda had been submitted by press time for the April 12 meeting, but county staff said commissioners and management are expected to receive updates from select departments regarding matters related to economic development. FRANKLINTON -- Franklin County sheriff's deputies are looking for a suspect in a breaking and entering. The incident was reported the morning of April 1 at a property on Will Woods Way in the Franklinton area. YOUNGSVILLE -- Authorities are also investigating a reported breaking and entering and larceny from a property in the Youngsville area. 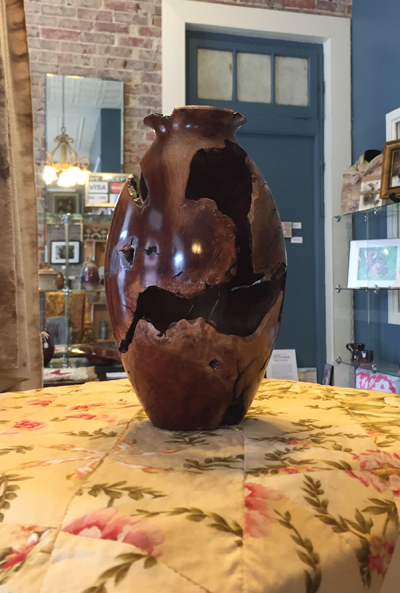 It was reported the evening of April 3 that someone broke into and stole items from a property on Cleghorns One Drive near Youngsville. 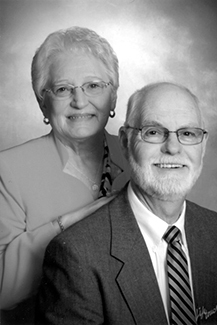 Macon and Mae Wheeler of Franklinton celebrated 50 years of marriage on March 26, 2016. A reception/party was given by their daughters, Tina Moody and Tracey Wheeler. A number of family and friends celebrated with the couple. W. Kerr Scott, considered the first "environmental" governor of North Carolina, will be the subject of the final lecture in the Tar River Center for History and Culture's series on Agricultural Improvement in North Carolina and the Tar River Valley. 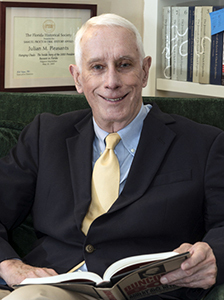 Dr. Julian Pleasants, an award-winning teacher and professor emeritus of history at the University of Florida, will deliver the lecture at 7:45 p.m., Thursday, April 28, in Norris Theatre on the Louisburg College campus. Maxwell Air Force Base in Alabama recently celebrated its 2015 Annual Awards Banquet. The theme was "Leaving a Legacy." Chief Master Sergeant Eric W. Benken of the Air Force #12 was the guest speaker. 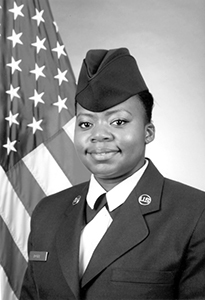 AIC Charisma Alice Doyle, a 2014 graduate of Louisburg High School, was awarded Airman of the Quarter for July 1 - Sept. 30, 2015; Airman of the Quarter for Oct. 1- Dec. 31, 2015; Airman of the Year, and Airman of the Barnes Center. PRIDE. Farmer and mentor Chad Ray, center, left, congratulates James Yeargin after the lad showcased cattle during the Franklin County Fun 4-H Livestock show. LOUISBURG -- For the past four years, 4-H has grown here. 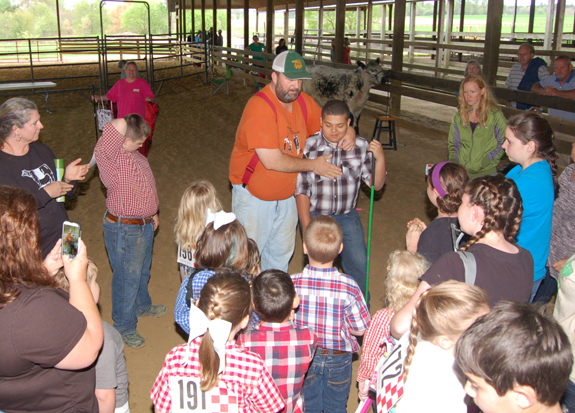 It was the theme to this year's Franklin County 4-H Livestock Fun Show. It's the fourth year that the Franklin County Cooperative Extension office has hosted the event, but Emily Best probably captured it best in her poster -- noting that what people take from the 4-H experience can't always be measured in tangible milestones or days marked off on a calender.